here is an orb . My son is 9 years old and he tells me that he can see them. 'Why can't I see them?' I try to explain to him. My boyfriend can see them too, the only way I do because I feel the coldness around me. Also about 3 weeks ago, I went to buy myself a webcam for my computer and believe it or not we can see them on it. 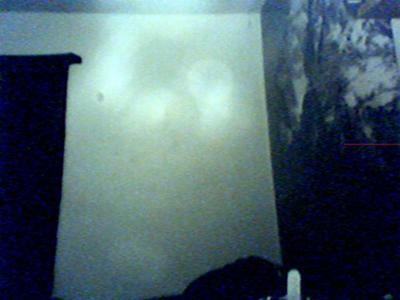 I have lots of pictures of them, lots of orbs. I just want some answers about what is going on, and why? This is my first time dealing with something like this. We've been here about 4 months and the house was built in 1922, that's like 89 years old long time.